The gospel is the good news that those who repent and believe in the death and resurrection of Christ for their sins will be forgiven. Luke 7, Verse 37. Woman. There are many similarities between this account and when Mary, the sister of Martha and Lazarus, anointed Jesus (Matt 25:6–13; Mark 14:3–9; John 12:2–8), but this is a different woman, apparently a prostitute, that occurred in Galilee rather than Bethany. There is also little reason to identify this woman as Mary Magdalene (Luke 8:2), as some have argued. Alabaster flask. Alabaster was a type of marble that was carved into a container for expensive ointments and perfumes. The container had to be broken to use the ointment. Verse 41. Denarii. A denarius was a typical wage for a day’s labor. Verse 44. Water for my feet. It was customary for a host to wash his guest’s feet, so this was a considerable oversight. Verse 47. For she loved much. As the parable makes clear, her love is a result of unconditional forgiveness, not the other way around. Psalm 120. Psalm 120–136 are known as “The Great Hallel,” almost all of which are “Songs of Ascent” (Pss. 120–134), songs Jews would sing as they ascended to Jerusalem for annual feasts. God is able and willing to forgive any amount of sin, no matter how great, if sinners simply come to him in faith, calling out to him in their distress, and repenting of their sins. In fact, he loves to forgive great sinners because it glorifies him and those who have been forgiven much respond with deep love toward him. Why were the Pharisees upset about what the woman did? In what ways did the woman demonstrate repentance and faith in Jesus? Why does forgiveness from great sins result in great love for Christ? Mark 4, Verse 2. Parables. These were common forms of teaching in Judaism. Jesus began teaching in parables during the latter part of his ministry to both conceal the truth from the unbelieving crowds, to whom he would give no explanation, and make the truth clearer for his disciples, to whom he often later gave the interpretation privately (see Mark 13:10–17). Verse 11. Secret. Literally, “mystery.” A mystery refers to something hidden previously but now revealed in the New Testament. Verse 20. Bear fruit. These are the only people who are truly converted in Jesus’s parable. Each of the others ultimately reject the gospel, even those who have an initial emotional response that later proves to be superficial. Up to this point in his minister, Jesus had clearly proclaimed the need for repentance, and yet most of the people either rejected him outright or proved to be attracted only superficially to what they could get from him. Thus Jesus began to speak in parables as a way to conceal the truth from these unbelievers lest the truth further condemn them. 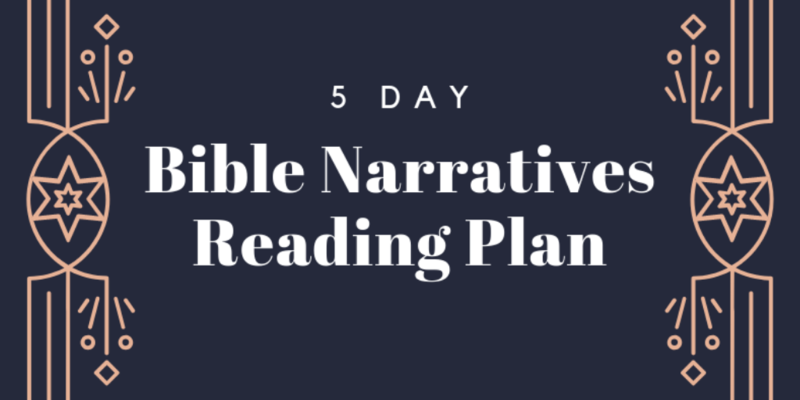 At the same time, parables provided a powerful tool for making the truth clear to his own disciples. Does high emotion and outward enthusiasm prove that someone is truly a follower of Christ? What proves that someone has truly accepted the gospel? Luke 8, Verse 22. The lake. This was the Sea of Galilee. Verse 26. Gerasenes. A small town on the east shore of the Sea of Galilee. Verse 27. A man. Matthew refers to two men; perhaps one of them was more dominant. Psalm 107, Verse 3. Gathered in. This indicates that this psalm is likely post-Exilic. Jesus’s miracles confirmed that he was Messiah and demonstrated his power over both the physical world and the spiritual world. For believers, this creates trust and confidence in Christ. For unbelievers, this creates fear. What was the disciples’ response when Jesus calmed the storm? What was the response of the demon possessed man when Jesus cast out the demons? What was the response of the people of Gerasenes? Psalm 122, Verse 1. House of the Lord. The place where the presence of God dwelt and where the people drew near for worship. This was an appropriate expression for those ascending to Jerusalem for one of the annual worship festivals. Verse 4. Decreed for Israel. God prescribed that the people ascend to Jerusalem for the feasts of Passover (Unleavened Bread), Weeks (Pentecost), and Booths (Deut 16:16). Like Jews ascending to Jerusalem to worship in the house of the Lord, so Christians should delight in gathering as the house of God, the church (1 Tim 3:15). Christians should give as much priority and attention to faithful worship in the church as the Jews were supposed to give to worship festivals in the temple, for this is where we meet with God in a unique way to hear from his Word and respond with appropriate affection. What characterized a Jew’s attitude as he ascended to Jerusalem for worship? What are similarities between Jewish worship in the house of the Lord and Christian worship in the church, the house of God? In what ways should we demonstrate worship in the church as a priority and joy? Mark 9, Verse 18. Ruler. This was Jarius (Mark 5:22; Luke 8:41), a ruler in the synagogue. Verse 23. Flute players. This was customary for times of mourning. Verse 24. Sleeping. Similar to what Jesus said about Lazarus, he is speaking metaphorically (John 11:11, 14). Not only did Jesus display power over the physical earth and spiritual powers, he also demonstrated his power over death and disease. He confirmed that he was truly the Son of God and that those who have faith in him would be immediately healed of their spiritual death and disease, eventually to experience physical life and health for all eternity. Why did Jesus restore the girl’s life? What healed the blind men?